For more than 10 years, Tess Vigeland was a host of public radio’s Marketplace. Though she had a job that many would envy, she chose to leave. 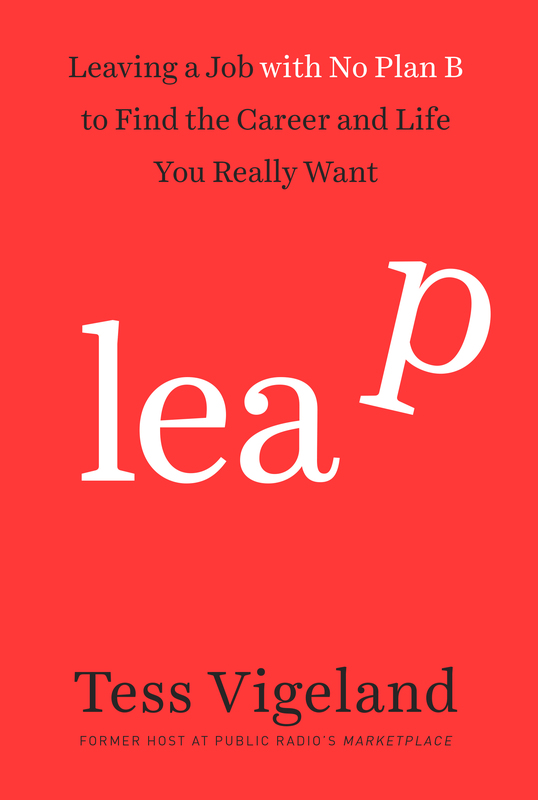 She recounts that journey and provides advice for others who are thinking about quitting their jobs in her book, Leap: Leaving a Job with No Plan B to Find the Career and Life You Really Want. Here’s something I’d love to see happen: go to a party, and have your work be the very last thing anyone asks you about. Of course when I was a national journalist, it was the first thing I wanted to tell everybody! Now, I don’t really have an answer. Cool factor checkmark number 1. Cool factor checkmark number 2. Cool factor checkmark number 3. “You don’t look anything like I thought you would.” Full stop. I was never famous enough to get tables at fancy pants restaurants, but if I had been, I probably would have done the same thing that editor did. But good for Jill Abramson! When you no longer have the cool answer, you dread the question about what you do for work. Twitter You try to avoid it. I think that’s magnified if you’ve been a public figure, because then the perceived fall from cool seems so much more dramatic. In fact, for almost a year, when people would ask, I would reply with “Well, I used to be…” And I’d absorb the looks of approval and wonder. And I’d smile and say yes when they asked if I knew Scott Simon or Robert Siegel. That question, I didn’t want to answer it. I felt shame. I feared being judged. I no longer had something cool to say. It felt like failure, even though the decision had been all my own. “I’m a freelancer.” Look of pity. “I’m a solo-preneur building a career of writing, voiceover and event hosting.” Look of bewilderment. “I’m on a break from office life.” Oh — so you’re unemployed and looking for work? Sorry to hear it. “I left my twenty-year career and don’t know what comes next.” Did you win the lottery or something? Aren’t you bored? Did you lose your ambition somewhere on the way to the loo? Most people cannot fathom the idea of leaving a career without having a next step lined up. So the quizzical looks stem from a very real sense that either you’ve given up on yourself, or there’s something wrong with your mental or physical health. Explaining it can be exhausting, because everyone wants to know why you left, how you’re going to support yourself, what your family said about all of it… and the whole time your own psyche is revisiting all those same questions that you’d banished before this event. Why is this the first question we ask? Why is our work the most important thing people want to know about us? — What’s your favorite thing to do in this city? — What kind of travel do you enjoy? When’s the last time you did that and where did you go? — What’s your favorite part of the weekend? Sometimes it feels a little bit weird, and I will literally say to the person I’m just meeting that I hate asking about people’s work right off the bat, so I try to ask different questions instead. Most folks appreciate that and return the favor by asking me questions unrelated to my work. That’s what happens in many other countries. In fact, in some places it’s considered rude to ask about someone’s work until you get to know him. I like that. We are not our work. Let’s stop making that the first thing we want to know about our fellow humans. Reprinted from LEAP: Leaving a Job with No Plan B to Find the Career and Life You Really Want, Copyright © 2015 by Tess Vigeland. Published by Harmony Books, an imprint of Penguin Random House LLC.